Bienvenidos to the next Spanish installment of our ongoing ‘Polyglot Austin’ blog series, where we celebrate the city’s cultural diversity while taking an interactive approach to language learning! In this post we are thrilled to introduce one of our favorite guest speakers: Fernando Nieri, a model, health enthusiast and Austin business owner ‘extraordinario’! Practice your Spanish and interact with us here for a chance to win more FREE language with us at FLC in ATX! Read on to see how. Grab yourself una copa de vino (‘the great fluency builder’) and practice your listening comprehension, reading and writing through our video interviews– all while learning more about Fernando! ¿Estás listo? Beginners, to get the most out of this exercise, watch it first without sound, while reading the subtitles. Then, watch the video again with sound. See how multiple viewings of segments of the video improve your reading & listening comprehension. Be sure to answer the questions here in our comment section for a chance to win 4 Spanish Saturday conversation ‘cafes’! Our teacher will get back to you en español! 1. ¿Por cuanto tiempo vivió Fernando en austin? 2. ¿A que se dedica Fernando? To get the most out of this level, we suggest first listening to Fernando while watching the video. Then read the full transcript in Spanish, followed by another pass of listening / watching. How much more do you understand after reading the transcript? 1. ¿Por qué decidió Fernando a cambiar a paleo? 2. ¿Qué aconseja Fernando a las personas interesadas en probar paleo? If you’d like to practice your Spanish more, please come in for a FREE trial to any of our “Saturday Cafes” or Classes. Fernando is also the owner of the award-winning graphic design company ‘Zoticus Design'(http://www.zoticusdesign.com/) located here in Austin. 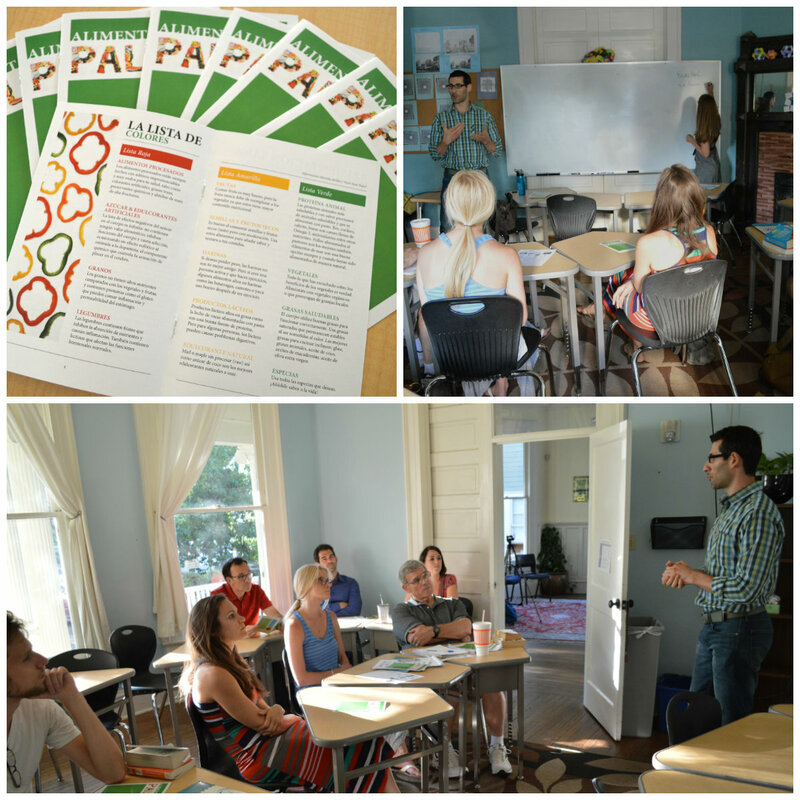 As part of his summer guest speaker talk, Fernando created a paleo guide en español for our students, muchas gracias! Be sure to like them on Facebook for updates! Using language in context! 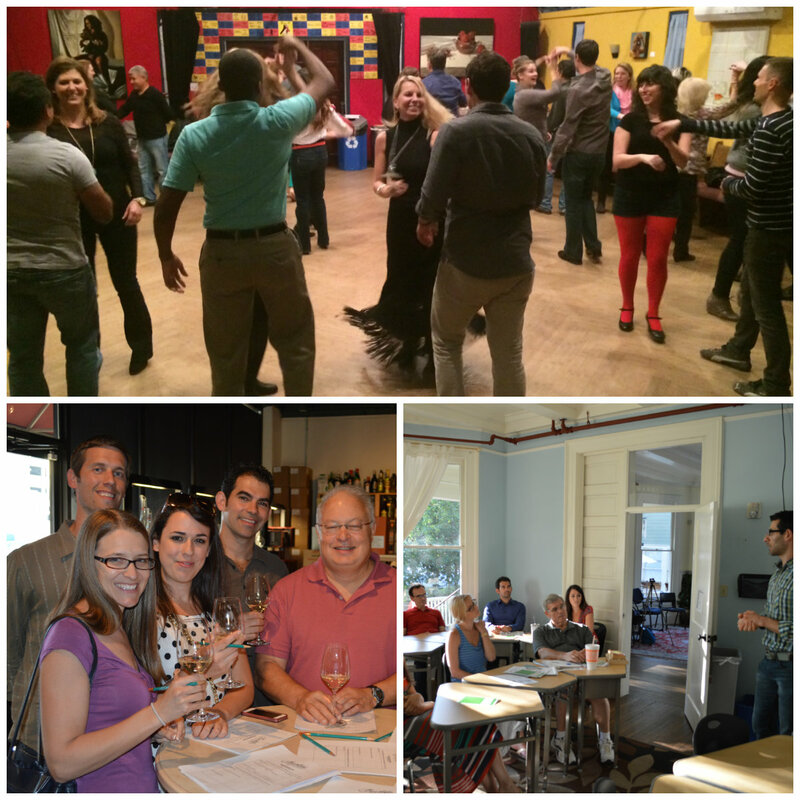 Students at our wine tasting, in the classroom & at our Spanish Salsa dance party! Our one-of-a-kind approach to second language acquisition uses technology and interactive media in a way that brings the most recent, relevant, high-usage vocabulary and everyday expressions to our students in an entertaining and effective way. Join us as we continue to revolutionize language learning: Summer Session May 18 – June 24, Fall Open House Friday, Aug. 21st. Gracias for interacting and practicing with us! Answer the questions below in our comment section, and one lucky reader will be chosen to win 4 Spanish Saturday ‘cafes’! Bienvenue to the next French installment of our ongoing ‘Polyglot Austin’ blog series, where we celebrate our city’s cultural diversity while taking an interactive approach to language learning. Rewarding on so many levels! Practice your French and interact with us here for a chance to win more free language practice with us at FLC in ATX! Read on to see how. Through our video interviews in French below, we’re thrilled to introduce one of our most dynamic Freestyle students, Barbara Baeyens. A true polyglot, Barbara speaks not only the 3 official languages of Belgium (Dutch, French and German), but her English is parfait as is soon to be her Spanish. Oui, c’est vrai! 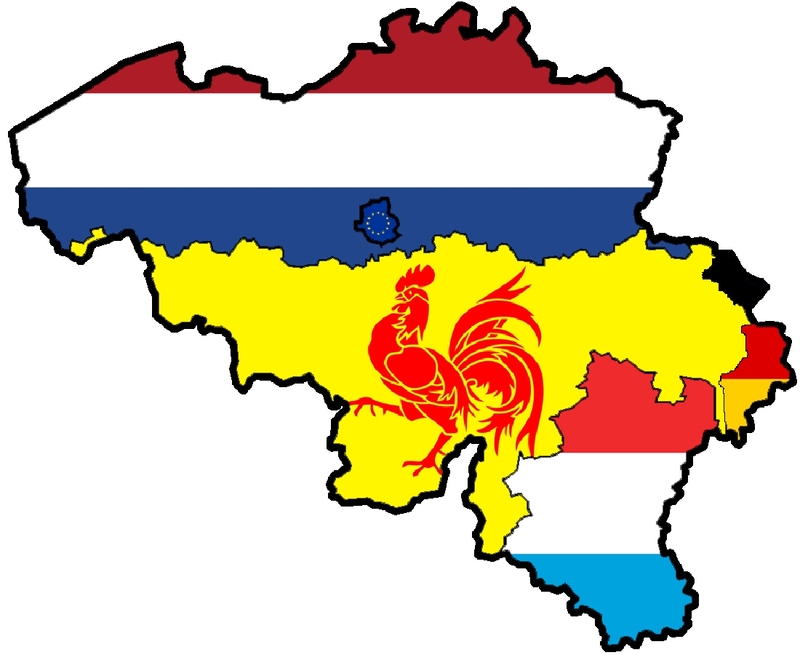 French is the 2nd most spoken primary (Belgian) language, used natively by almost 40% of the population. Bon, alors, au travail! grab yourself un verre de vin (‘the great fluency builder’, n’est-ce pas?) and practice your listening comprehension, reading and writing – all while learning more about une femme francophone à Austin. C’est super génial! 2. Qu’est-ce qu’elle n’aime pas à Austin? To get the most out of this level, we suggest first listening to Barbara while watching the video. Then read the full transcript in French, followed by another pass of listening / watching. How much more do you understand after reading the transcript? Et n’oubliez pas de répondre à nos questions! 1. Comment gagne-t-elle sa vie? C’est à dire, elle fait quoi dans la vie en tant que boulot? 2. Qu’est-ce qu’elle a étudié et pourquoi? We are over the moon proud that Barbara chose Freestyle for her next language journey. She started her Spanish with us Fall 2014 and never misses an opportunity to practice and put her Spanish to use in our various wine tastings, dance lessons, art tours….she’s showing US how it’s done! #gopolyglot! We just want to know one thing, Barbara, which language next?! And what is YOUR favorite aspect of being able to speak all these languages? If you’d like to practice your French more, please come in for a FREE trial to any of our “Saturday Cafes” or Classes. We also invite you to join us at Chez Nous for an evening of classic French food and conversation en français. Additionally, think about joining us March 7 pour une journée entière (!) en français. 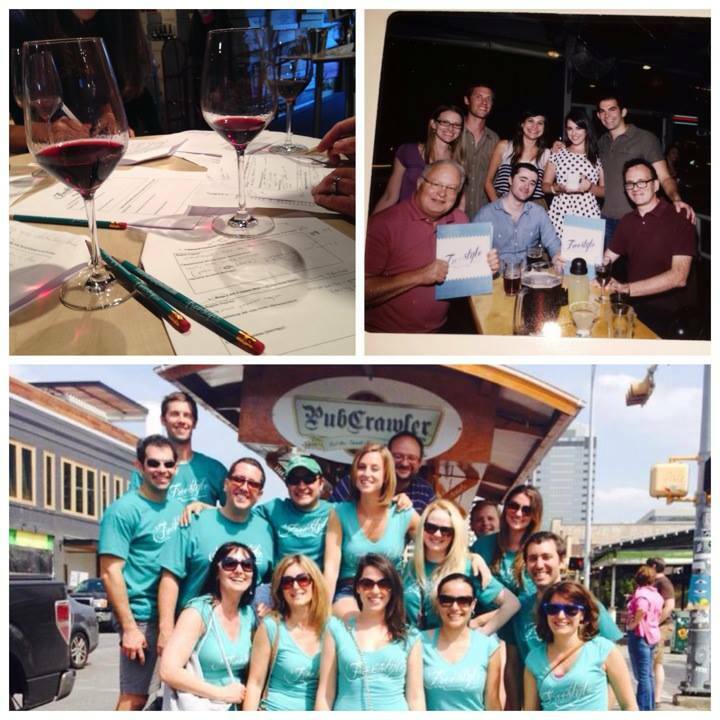 Austin based Sojourne Tours is partnering with us to bring a private tour of Austin through a French perspective. We’ll be touring various French businesses, restaurants, and will learn more about the Texas-French connection, including a stop at the Bullock Museum to look at the shipwreck La Belle. Our one-of-a-kind approach to second language acquisition uses technology and interactive media in a way that brings the most recent, relevant, high-usage vocabulary and everyday expressions to our students in an entertaining and effective way. Join us as we continue to revolutionize language learning: Spring Session starts March 23-May 12! Merci for interacting and practicing with us! Answer the questions below in our comment section, and one lucky reader will be chosen to win 4 French Saturday ‘cafes’! Bem-vindos to the latest Portuguese installment of our ongoing ‘Polyglot Austin” blog series, where we celebrate the city’s cultural diversity while taking an interactive approach to language learning. Through our beginner and intermediate Portuguese videos below (subtitled, with full transcription provided! ), we introduce you to Bruno Vinezof, a Brazilian native and founder of the incredibly soulful rhythm & percussion group Maracatu Texas. 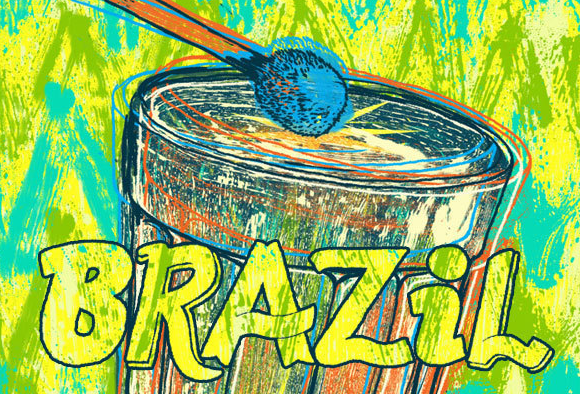 Practice your Portuguese while you learn more about this afro-brazilian percussion genre infusing Brazilian culture into Atx. Did you know you can join Maracatu in Austin?? Check out their lively performances and classes . Also! 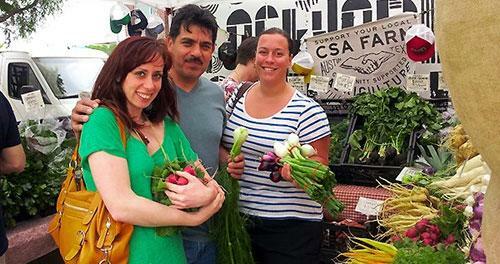 Read on to see how you can win an 8-week Portuguese class at Brazil Day Austin 2014. Austin boasts an especially strong and colorful Brazilian music scene. Que lindo maravilhoso! What an enriching experience learning about the history and culture of “Maracatu” which conveys, specifically, the rhythm of Northern Brazil. In the past, in the era of slavery in Brazil, the Maracatu groups crowned a black king and queen who would be the communicators between the Portuguese slave owners and the black community to which they belonged. These traditions are still honored in Marcatu groups today. 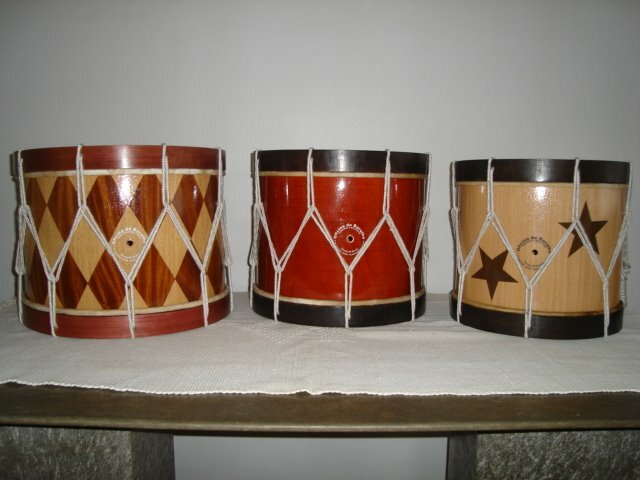 An array of alfaias, a type of Brazilian drum, artwork in themselves! Watch, listen, read transcripts – have all kinds of fun! Then, answer our questions (em português) in the comment area; one of our teachers will get back to you. Beginners, to get the most out of this exercise, watch it first without sound, while reading the subtitles. Then, watch the video again with sound. See how multiple viewings of segments of the video improve your reading & listening comprehension. Pernambuco fica em qual região do Brasil? Bruno conhece países nas Américas, e mais um continente. Qual é o outro continente? Que tipo de instrumentos músicas Bruno toca? A cidade de Olinda tem quantos anos? Para Bruno, qual é a diferença mais importante entre a música brasileira e a música dos Estados Unidos? Think about the following two phrases: O Maracatu “veio para o Brasil com os escravos,” and “servia como um intermédio.” Why does Bruno use the preterit in the first phrase, and the imperfect in the second? We thank our friends of Morena Soul, the lively, fun, locally grown Brazilian-music band for introducing us to the Brazilian scene in Austin. Meet them here, in our first Portuguese blog entry and be sure to follow their performances as well (schedule). What dynamic people, groups and strong bonds that unite Portuguese-speaking musicians in Austin! Like the sounds and cultural richness of Brazil and the fast-paced rhythms of samba? Don’t miss Austin Samba (the largest Brazilian cultural organization of its kind in the US) present the largest celebration of Brazilian music and culture of the year at their event ‘Brazil Day Austin 2014‘! Dance, drink, eat, practice your Portuguese AND!!!…. enter to win an 8-week Portuguese language class with Freestyle! Come meet us at our table there and enter a drawing (free!) to win! Last, but certainly not least, if you love practicing your Portuguese, make sure BRAZILPOD is in your repertoire! We do language learning a little differently at Freestyle! Our one-of-a-kind approach to second language acquisition uses technology and interactive media in a way that brings the most recent, relevant, high-usage vocabulary and everyday expressions to our students in an entertaining and effective way. Join us as we continue to revolutionize language learning! Bienvenidos to the next Spanish installment of our ongoing ‘Polyglot Austin’ blog series where we celebrate the city’s cultural diversity while taking an interactive approach to language learning! 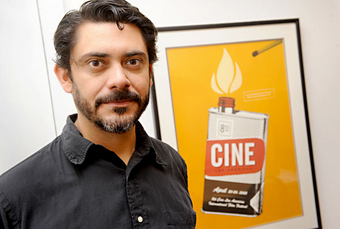 Meet Eugenio del Bosque, Director Ejecutivo of the local Austin non-profit, Cine Las Americas. Watch these beginner and intermediate-level videos as Eugenio explains (en español) what he does at Cine and the challenges Cine faces – subtitled, transcripts provided! De veras amamos Cine! Freestyle + Cine = Match made in heaven! Our friends at Cine Las Americas work day in and day out to bring Latin American films—films made by or about Latinos or indigenous peoples of the Americas—to life in ATX. Not only do we love how Cine promotes multiculturalism in our city by “creating a truly Pan-American cinematic experience”, their predominantly Spanish language films (some Portuguese), like Memorias de un soldado and Mateo, engage our students all year long, offering great language practice and development. Film is absolutely our favorite medium for language acquisition – ¡Gracias, Cine! Just ask Keeley Steenson, the Outreach and Operations Manager of Cine, who is also one of Freestyle’s Spanish students; La extraordinaria Keeley is in our intermediate series which embraces the cinematic approach to language learning. ¡Vámonos! Watch, listen, read transcripts – have all kinds of fun! Then, answer our questions (en español) in the comment area; one of our teachers will get back to you. Beginners, to get the most out of this exercise, watch it first without sound, while reading the subtitles. Entonces, watch the video again with sound. See how multiple viewings of segments of the video improve your reading & listening comprehension. 1. ¿En qué trabaja Eugenio? 2. ¿Qué le gusta a Eugenio de Austin? Q: ¿Me puedes describir un día típico para Ud., para ti en el Cine las Americas? / Eugenio: Bueno lo que a mi me gusta de Cine las Americas es que no hay un día típico, como es una organización sin fines de lucro, es una organización que nos dedicamos a la promoción del cine y de las artes. Siempre hay algo nuevo. Típicamente es mucho trabajo de oficina, mucha cuestión de comunicación con la audiencia, con los miembros, con patrocinadores; números, siempre contabilidad y presupuestos; postulaciones para apoyos de gobierno y corporativos y bueno, siempre las películas ¿No? Siempre buscando películas ó tratando de ver películas. 1. ¿Qué tipo de organización es Cine Las Americas? 2. ¿Qué es una convocatoria? Por qué Cine las Americas abre convocatorias? 3. ¿Cuántas películas al año ve el comité de Cine las Americas? Have we mentioned how much we love Cine?! 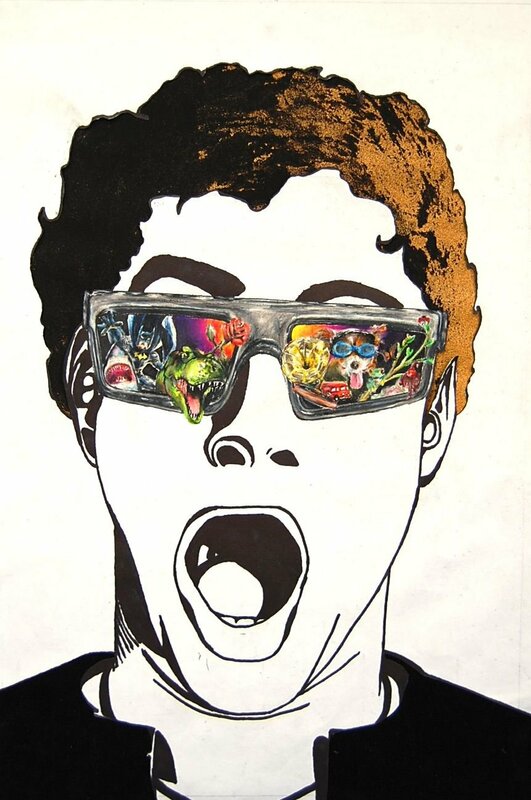 Have you seen their Hecho en Tejas film panorama?! They even have after-school programs that provide “a bi-lingual space to bring the tools of media creation and distribution to a widely diverse group of students within the Austin Independent School District and beyond.” Talk about diversity in the community! We can’t think of a more worthy organization in Austin to support! If you also want Cine to continue to bring Austin multicultural cinema, be sure to support their ‘Save Cine Las Americas’ campaign by August 31st! Our one-of-a-kind approach to second language acquisition uses technology and interactive media in a way that brings the most recent, relevant, high-usage vocabulary and everyday expressions to our students in an entertaining and effective way. Join us as we continue to revolutionize language learning: NEXT Open House Fri. Aug. 22nd 6pm-8pm at 801 Rio Grande! Bienvenue to the French installment of our ongoing ‘Polyglot Austin’ blog series, where we celebrate the city’s cultural diversity while taking an interactive approach to language learning! In this post we highlight 2 French Austinites, Sarah & Philippe, and our city’s long connection to France. Our Texanized version of Fleur-de-lys, ‘ le symbole de la France’! Despite the 5,000 mile distance, French culture has permeated the heart of Texas–its history, its language, its people– for centuries. 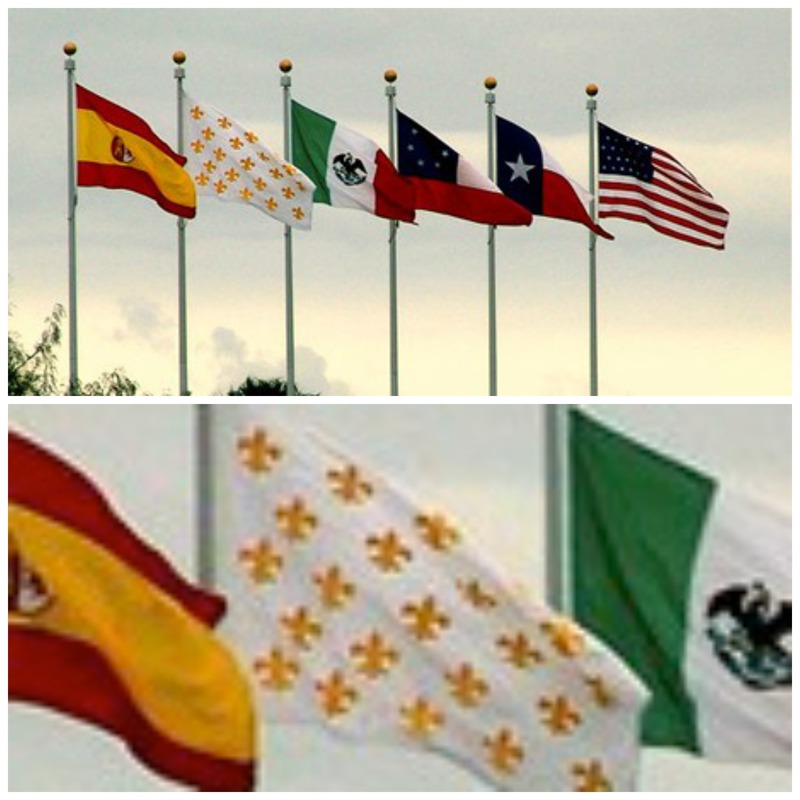 The omnipresent Six Flags Over Texas represent the deep cultural and historical liens we have with France. 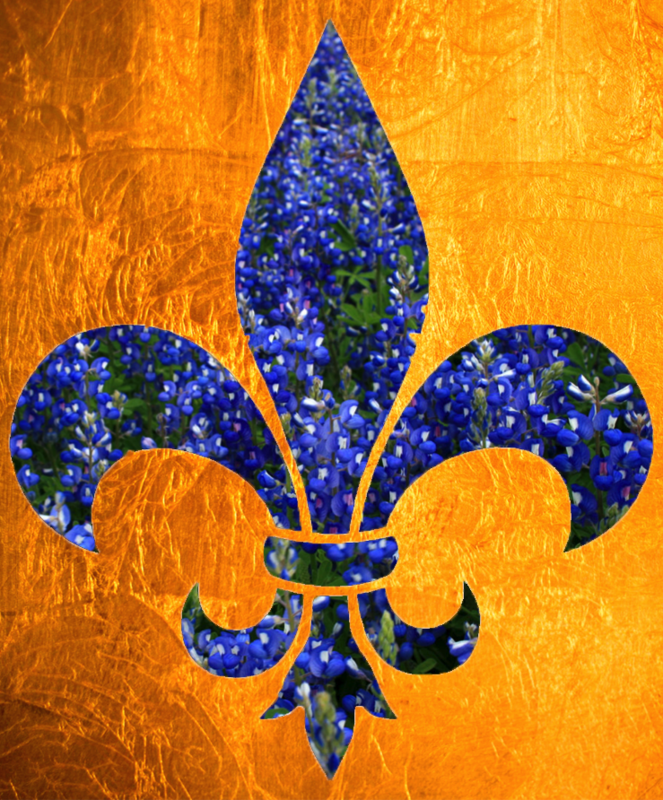 The second flag, white with gold fleurs-de-lys, represents Texas under France in the late 1600’s. Flash-forward to the 21st century! Meet Sarah and Philippe who bring their très French vibes to Freestyle. As current Spanish students, learning their 3rd language, they get the Freestyle lifestyle – Go Polyglot! 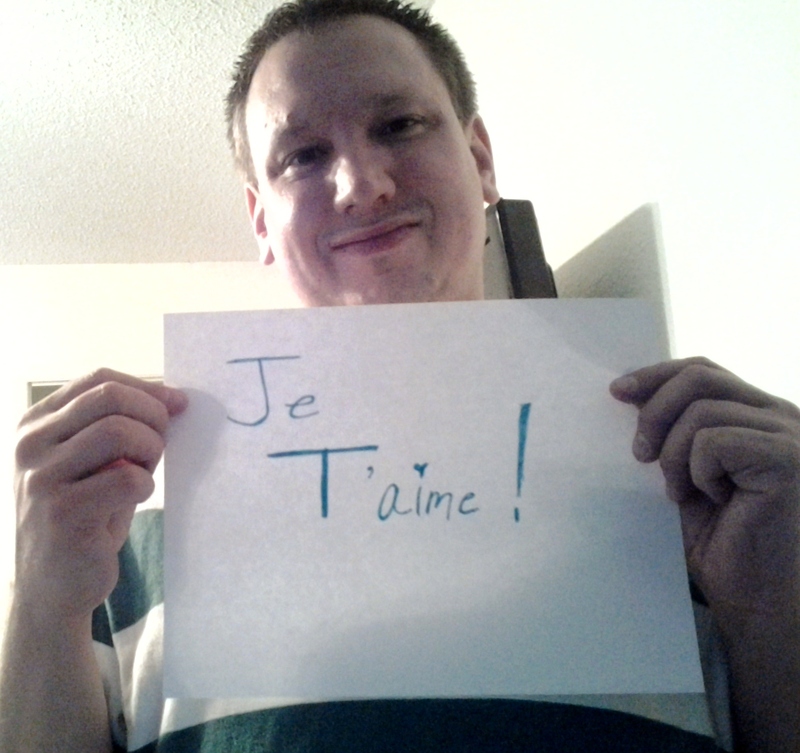 …Philippe moved to Austin from Bordeaux. Happily, we can find good Bordeaux wines at The Austin Wine Merchant in ATX to keep him here! Follow along as we listen to Sarah, une jeune femme très branchée (hip), who works in “le domaine de la communication“, and pétanque-playing Philippe, an artist in both leather repair and le jardinage. Qu’est-ce qu’un potager? Tu ne sais pas? Must read and listen to find out! To get the most out of this first video, where Sarah simply introduces herself, watch it once without sound, reading the subtitles. Then watch it with the sound on. See how multiple viewings of segments of the video improve your reading & listening comprehension. To practice writing, answer some questions below in French and you’ll hear back from our teachers! For full transcript, click Youtube logo bottom right of video; transcript in the ‘about’ section. Q: Que faites-vous dans la vie? / Philippe: Je répare le cuir, le plastique et le vinyle, alors c’est les fauteuils en cuir, les sofas, ou les sièges de voiture- par exemple, tout l’intérieur d’une voiture. 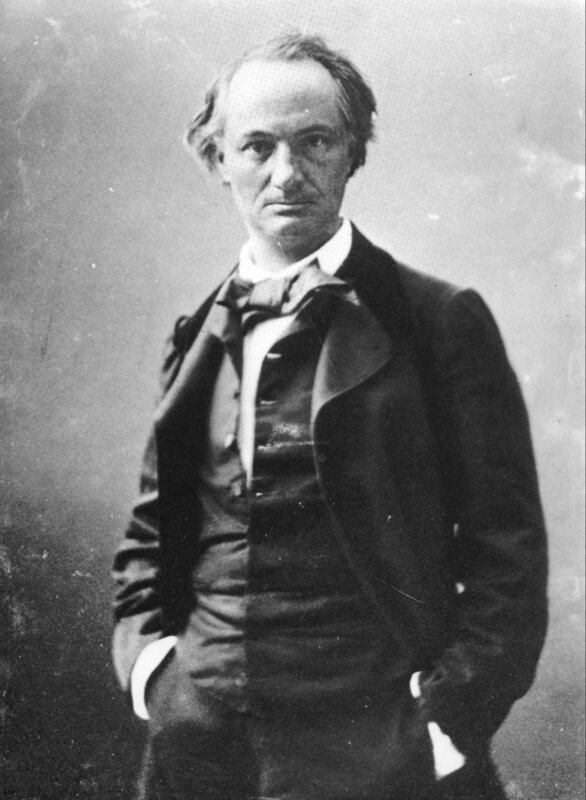 Potentiellement je peux réparer à peu près tout ce qui est à l’intérieur, si c’est pas trop important au niveau des dégâts. Q: C’est bon à savoir, j’en ai besoin! / Philippe: Oui, c’est bon à savoir, ca peut aider! ca évite d’avoir ,des fois, acheter tout un nouveau sofa quand on peut faire juste une petite réparation. 2. Quels sont les avantages et les inconvénients du jardinage au Texas? 3. Qu’est-ce qui pousse bien à Austin? Our one -of-a-kind approach to second language acquisition uses technology and interactive media in a way that brings the most recent, relevant, high-usage vocabulary and everyday expressions to our students in an entertaining and effective way. Join us as we continue to revolutionize language learning: NEXT Open House Fri. Aug. 22nd 6pm-8pm at 801 Rio Grande! Welcome to another installment of Freestyle Language Center’s “Polyglot Austin” series, where we celebrate the city’s cultural diversity, while taking an interactive approach to language learning! In this entry, we feature Italian native Daniela Marcone, owner of Andiamo Ristorante, the most authentic Italian restaurant in Austin. Take a culinary journey with us, and practice your Italian! Daniela Marcone (left) compra verdura fresca al mercato. Located at 2521 Rutland Dr, we celebrate Andiamo Ristorante for its commitment to fine ingredients and authentic Italian fare. Owned by Naples-native Daniela Marcone, Andiamo serves and prepares food exactly how it would be done in Italy. Linguine ai Frutti di Mare … Che bonta’! Watch and listen to our interviews with Daniela to practice your Italian. Before we get started, go ahead and grab your favorite vino, the great fluency builder…First things first! To get the most out of this language learning tool, as step 1 read the transcriptions for general context. Step 2, hit play and as you listen, if needed, stop to review. See how multiple viewings of segments of each video improves your reading & listening comprehension. To practice writing, answer some questions below in Italiano (maybe time to refill that glass first?…) and you’ll hear back from our teachers! Let’s listen, va bene? Q: Come ti chiami? / A: Mi chiamo Daniela Marcone. Q: Di dove sei? / A: Sono di Napoli. Q: Hai famiglia qui ad Austin? / A: No, sono da sola qui ad Austin. 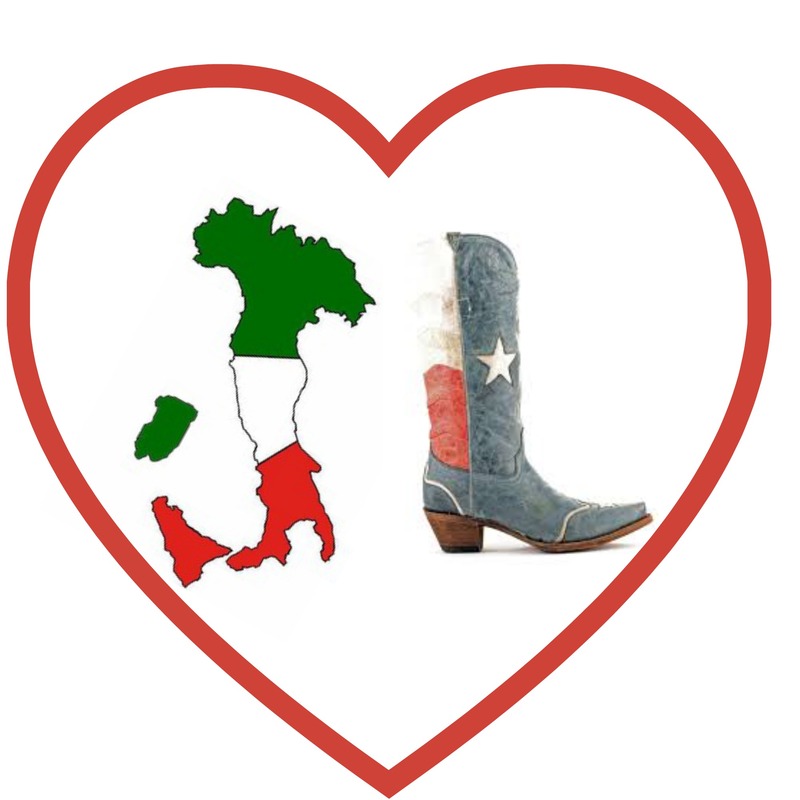 Q: Cosa ti piace di Austin e del Texas? / A: Direi, Austin e’ una citta’ abbastanza liberale. Considerando lo stato del Texas, ci sono molte persone che hanno viaggiato quindi hanno una mente molto piu’ aperta circa la cultura, il mangiare, le lingue, i viaggi e mi trovo molto bene con questa dimensione di Austin. Q: Cosa ti piace fare quando hai tempo libero? / A: Mi piace dedicare il mio tempo libero a delle organizzazioni senza scopo di lucro. Quindi mi piace fare la volontaria, stare a contatto con la natura. amo i cavalli, i disabili, i bambini, quindi dedico il mio tempo libero a quelle cose e ovviamente ai miei animali quando ho tempo. Q: Benissimo! Quando hai deciso di diventare proprietaria di un ristorante? / A: Quando mi si e’ stata presentata l’opportunita’ perche’ non era la mia intenzione o nei miei piani di vita. Quindi e’ semplicemente capitato. Q: Descrivi com’e’ una tipica giornata per te. / A: Direi che, essendo proprietaria di un ristorante, i tempi al mattino sono ben diversi da quelli di ogni altra persona perche’ si inizia relativamente tardi. Mi sveglio, mi prendo cura dei miei animali. Non devo essere al lavoro fino alle 11 del mattino e quindi la giornata per me inizia abbastanza tardi. Alle 11 si inizia a lavorare. Amo il contatto con il pubblico, quindi mi prendo cura dei miei clienti fino alle due. Il mio pranzo e’ abbastanza tardi, quindi io inizio quando gli altri finiscono, e poi di solito il pomeriggio faccio delle commissioni per il ristorante. 1) Che mestiere fa Daniela? 2) Perche’ a Daniela piace Austin? 3) Che cosa le manca di piu’ dell’ Italia? 4) Che cosa ha studiato Daniela in Italia? Our one -of-a-kind approach to second language acquisition uses technology and interactive media in a way that brings the most recent, relevant, high-usage vocabulary and everyday expressions to our students in an entertaining and effective way. Join us as we continue to revolutionize language learning: Try a free evening class or our popular Saturday “cafe” (11am-12:30pm) at 801 Rio Grande! This is not your mother’s pair of jeans, nor your father’s Oldsmobile… this is language learning in the 21st century! It’s pop culture, y’all. It’s slang and everyday language, it’s the fun path to fluency. Don’t let subtitles scare you! Get over your fears and hesitations; don’t be too cool for this kind of school. Films use language in real-life situations enabling the learner to grasp the meaning and sounds of colloquial expressions at the heart of everyday language while experiencing cultural contexts… all while entertaining! Sit Back and Enjoy the Amusement of Subtitles! Subtitles can uniquely create humor, adding a pure comedic touch. Take this clip from the comedy Airplane for example with two men speaking jive, obviously English… but is it? Check out the video to see what all the hoopla is about! Subtitles are humorous! Enjoy… and embrace them! When learning everyday jargon in a foreign language, we can’t all go about faking it like Brad Pitt in Inglourious Basterds! Watch as Brad Pitt is thrown off entirely by the fluency with which Christopher Waltz’s character speaks Italian; subtitles enhance the comedic effect. To Swear or Not To Swear? No Matter, It’s Idiomatic! To go about one’s day, one needs an understanding of common lingo, or street talk. Don’t tell your mother we told you, but swearing is a huge part of cultural context, colloquial language! 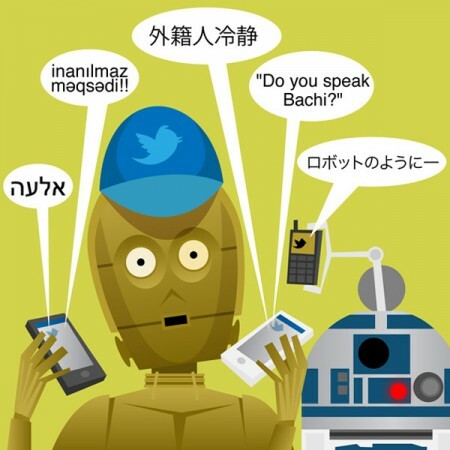 Every language has modern slang that defies literal meanings. For example, non-native speakers of English wouldn’t know the flexibility of using swear words such as *hore, bi*ch and *ss without watching films such as this American high school parody, Mean Girls in their native language subtitles. Embrace, even if you choose not to personally swear like a (bilingual) pirate! French films teach us quickly that putain, a high-frequency swear word (but harmless, really) appears just about anywhere in most French sentences. We, as Americans specifically, need to get over our fear of subtitles. People use them all around the world for varying purposes. Subtitles carry the potential to be an international game-changer in poverty, status and education. Millions of people in countries around the world embrace subtitles with no hesitation as a means to improving their everyday life. 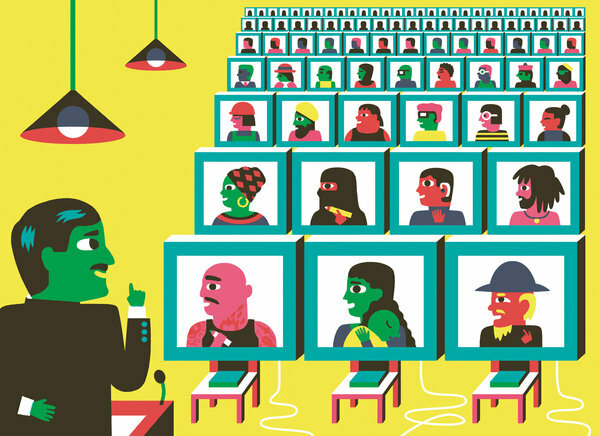 See this NY Times article on how learners use subtitling to further their education and career and to make global connections. 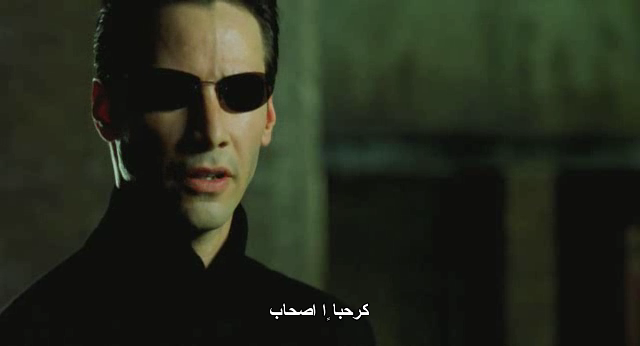 Even in the realm of entertainment, the entire world seeks to connect to Hollywood and Bollywood films and they do so with subtitles in their native language! Let’s eradicate the misconceptions we tend to have while dealing with subtitles in film; they’re useful and globally accepted! Acquiring language through a medium such as film is not only fun and entertaining, but multiple studies have shown it’s a driving force for second language and culture acquisition. As renowned linguist and second-language acquisition expert Stephen Krashen once said “language needs to be fun!” Language acquisition works best when the input is interesting and compelling to us, so much so that we forget we are immersing ourselves in another language! “The best methods are therefore those that supply ‘comprehensible input’ in low anxiety situations, containing messages that students really want to hear.” -Krashen. Rod Ellis, a leading theorist in 2nd language acquisition, elaborates: “Successful instructed language learning requires extensive 2nd language input…where 2nd language needs to become the medium as well as object.” Film is the medium, and an entertaining one at that! SO, pull yourself out of the humdrum routine of hours with flashcards and intensive studying. Although these methods help in retaining information, the delight and entertainment of film best supplements them. Plenty of science revolves around it, but the ultimate goal is to have fun while you’re learning; your brain will do all the work! While watching foreign film, in the midst of having fun, you increase your metalinguistic awareness, unbeknownst to you. Qu’est-ce que c’est metalinguistic awareness? It’s simply the ability to think of and be aware of language in relation to its cultural context, that language has specific functions and rules. Furthermore, multiple viewings of a foreign film also increase awareness of important paralinguistic elements: body language, gestures, facial expressions, loudness, tempo….all features highly important to communication in another language. One of the most renown (and local!) language specialists, Dr. Garza, Director of the Texas Language Center of the University of Texas, provides an important pedagogical framework for the use of video and film in the classroom. See Dr. Garza as he explains how video and film, as authentic texts, contain the possibility to develop language learners into “active learners”. He states that the application of technology such as video, film, internet, etc. may hold the key for language learners to go from competence to proficiency, i.e. to make great strides along the road to fluency! 4. Witness a significant boost in listening, comprehension and speaking ability! Additionally, Freestyle is proud to incorporate Austin’s own ITAL in our classes! Transmedia specialist Sergio Carvajal-Leoni, in collaboration with Austin-Based Filmmaker Romina Olson and UT Award-Winning Italian instructor Antonella Del Fattore-Olson, created ITAL, a digital channel that blends entertainment and education to teach Italian language and culture. The entertaining ITAL videos are intended to expand students’ knowledge of contemporary Italian culture while helping them to increase their vocabulary and oral competency. As you can see in the video that follows, part of ITAL’s instructional component is reflected in the use of subtitles – sometimes in English, others in Italian – to emphasize how new vocabulary is used in everyday conversation. HINT: This fall, intermediate Spanish students will be studying Spanish through Volver, intermediate French through the romantic comedy Heartbreakers, Portuguese through the comedy The Man Who Copied, Italian through the dramedy The Last Kiss! Come visit a class for FREE. Try practicing with subtitles by choosing a tv show/film you enjoy watching in your native language with your target language subtitles. For example, the American hit romantic comedy, Two Weeks Notice (Sandra Bullock / Hugh Grant), like many U.S. shows and films, offers both French and Spanish subtitles. We hope you see the many varied reasons to embrace and enjoy subtitles so that your road to fluency will be smoother and more enjoyable. Accepting subtitles in foreign film will allow you to grasp a whole new realm of knowledge that would otherwise only be receivable via physical interaction in the actual country. Seize the power of film to help you obtain the gift of gab in your target language and join us at Freestyle to further develop your language learning in a relevant, fun and social context! The idea that language learning is rote and boring is defunct in the 21st century! Han Solo understood Chewbacca’s Wookiee language and the speech of Greedo, a Rodian (Thank goodness or Han would’ve only had a bit part in A New Hope!). Jabba the Hutt understood English (but still didn’t heed Luke’s warning!). And C-3PO, that loveable goldenrod, was fluent in over six million forms of communication! John Malkovich and Johnny Depp know more than English. Emma Thompson does, too. Penelope Cruz has made a career in both Spanish- and English-language films. Gérard Depardieu makes films in France and Hollywood. Samuel Beckett, an Irishman, Eugene Ionesco, a Romanian, and Milan Kundera, Czech, all wrote in French, their second language. And Haruki Murakami wrote the first lines of his debut novel in English, then translated them back into his native Japanese, finding his voice along the way. It’s what separates the Fleming Bond from the Hollywood Bond. It’s what makes Jason Bourne way cooler than both. What’s “it,” you say? Why, speaking more than one language. Being a polyglot. You know the old joke: What do you call someone who speaks two languages? Bilingual. Three? Trilingual. One? American. Mandarin is spoken by over 1 billion people. G. Tucker Childs, in his 2003 An Introduction to African Languages, declares that there are more than 2100 languages spoken on the continent. Did you know that Spanish is the de jure or de facto language in some 23 countries around the world, on four continents? There are a million reasons (I know because I’ve counted—#1, to communicate) to learn another language. Gaining cultural competence and awareness, and improving one’s ability to think and reason notwithstanding, learning another language allows us to better know our mother tongue (Oh, how many students I’ve had who didn’t understand English grammar until we studied French grammar.). It leaves us with the ability to travel far-off with the magical power to experience a more authentic Spain or France, a more personal Senegal or Columbia. 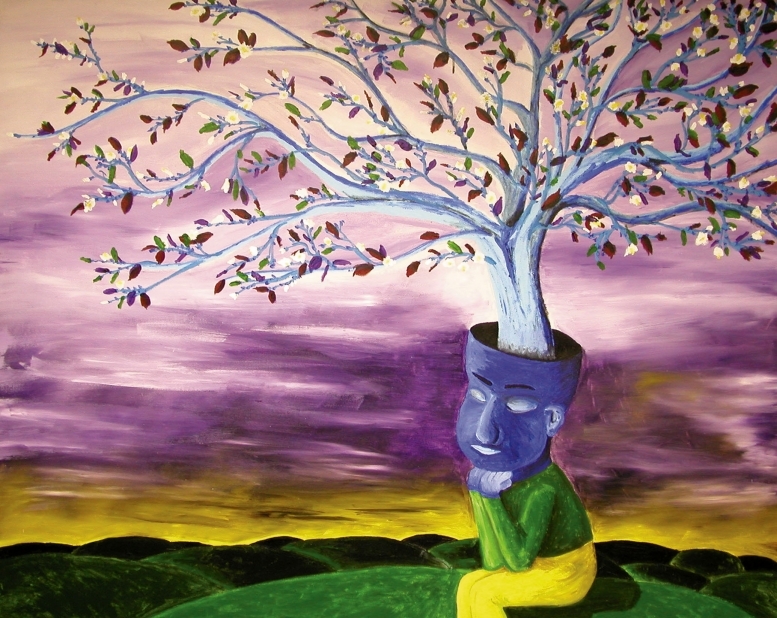 It bestows upon us even more ways to express ourselves and, better yet, know and understand ourselves. For music fans, it is your gateway to an exponential number of new favorite bands that you won’t ever hear on the radio, so no more listening to the same misses over and over and over. For movie buffs, your DVD collection will grow, your bank account shrink, and Friday Film Nights will never, ever be the same. 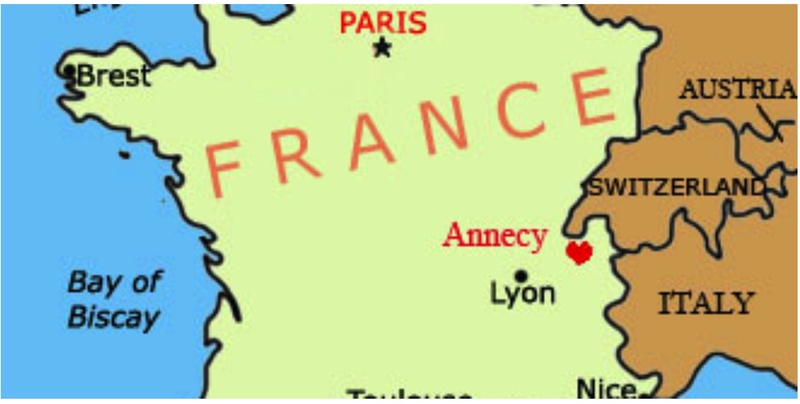 French is the official language (or one of several) of 30+ countries around the world, used unofficially in even more, spoken on five continents, and figures among the official languages of dozens of international organizations. Living in Austin, I find myself in the car quite often. By which I really mean, all the time. When I’m not listening to KUT, the local NPR affiliate, I have CDs constantly playing music. You may not think this terribly unusual, save one detail. Almost without fail, those discs are playing French music. Or African Music. Mostly likely hip hop. In my mind, the soundtrack of Austin isn’t Sara Hickman, Alejandro Escovedo or Brownout (though I listen to them! ), but IAM, Saïan Supa Crew, Magic System and Sexion d’Assaut. And, full disclosure, listening to what surely seems out of place to everyone but me, I always do two things. One: At stoplights, when the weather’s nice, I open the sunroof and the windows and turn up the music. When people stare, I know I’m cool, and I secretly wait for them to ask me what I’m playing. Two: Every time I hear a Sonic ID on KUT, I automatically imagine it’s me on the radio, talking about how my soundtrack to Austin goes back and forth between Morning Edition, All Things Considered and French Hip Hop. Other drivers will listen to this same Sonic ID and think, “That guy must be so cool.” The ID ends with me singing along to something fun, like Magic System. My therapists say my delusions completely lack grandeur. Learning languages is a Swiss Army Knife for knowledge. It makes you smarter; it makes you cooler. It opens the world to you in ways you haven’t even imagined. It bridges cultures and continents; it links one human to another. And sometimes, if you’re really lucky, that link turns romantic, then you woo someone in their language, and they you, in yours. That’s probably worth the price of admission right there. I’ve got Japanese and Arabic on my list. What language do you want to start learning today?